In the old days I used to write them in the many many notebooks that I used to buy. That must be a family thing because when I visited my sister recently she had a huge pile of pristine beautiful stationery stacked neatly in her spare room. I’ve tried lots of different list apps. In the pre-app era I used to use tada lists a lot. 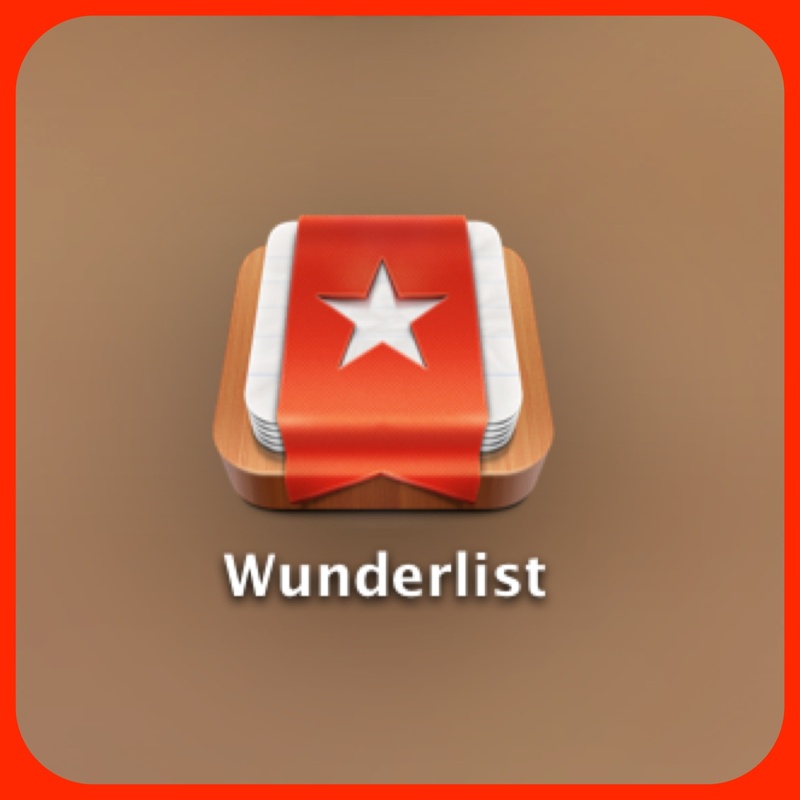 I liked Astrid and dabbled with various other apps before finding and sticking with Wunderlist. Everything about it is neat and well ordered. You can make lists within lists, share lists, set reminders and even add lists to an inbox to prioritise them. You can use it on your phone, macbook and iPad and it synchronises seamlessly. For a while I’ve been thinking about how to use Wunderlist in the classroom and after a few trials and errors I’ve come up with a way that worked well for me. I have my account set up on my iPad/iPhone/Mac and then have a different account set up on the pupil iPads. I then create a list on my Wunderlist account. Useful lists have been success criteria for a lesson, steps needed to complete a task and a set of challenges that need completing. 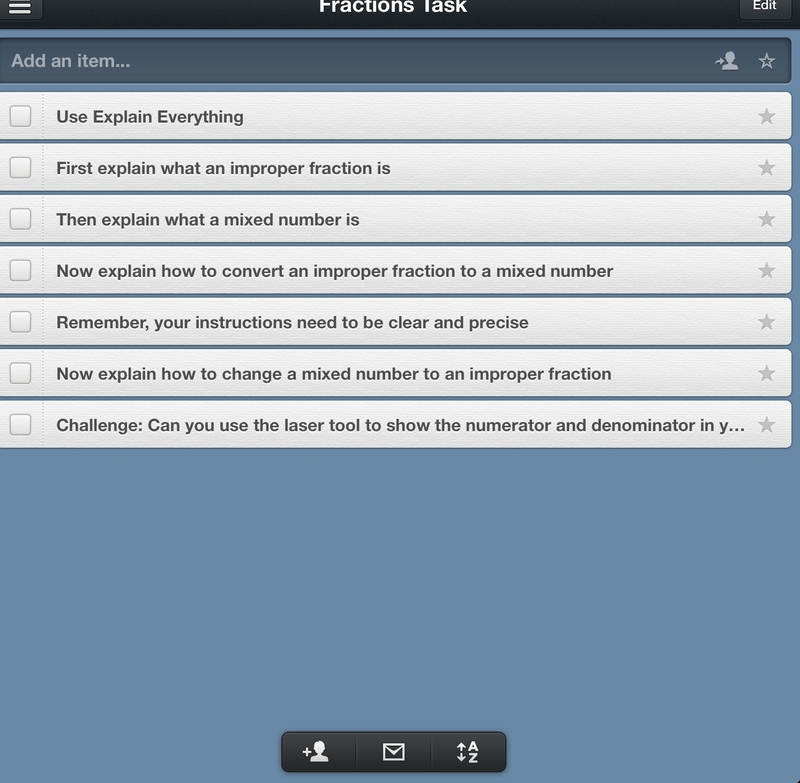 I then share this list with the pupil account – as soon as it is accepted it appears on all the pupil iPads. Individual names lists for groups or pupils – they can then tick off the list items as they achieve them. Or you could do it the other way around where pupils compile as list as they work through a task and then at they end they share it with you. Of course, if you don’t want to use Wunderlist yourself you only need one account to do this but I can’t imagine why you wouldn’t want to use it for yourself.